Q. How do I find video games and consoles? 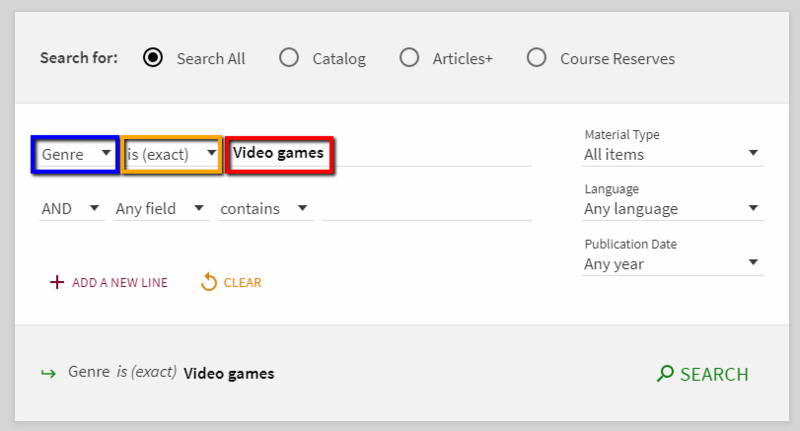 Learn how to locate video games and consoles for borrowing from the University Libraries. The University Libraries maintains a small collection of video game consoles and titles in support of the game design curriculum on campus. Since it is a very small collection, borrowing privileges are limited to DU Students, Faculty, Staff and Alumni. Iliff and Law students may also check out video games and consoles. All video games and consoles circulate for two weeks, and can be renewed if no one else is waiting for the item. 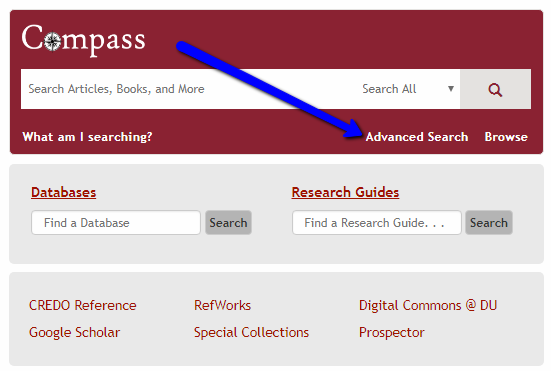 At this point, you may run your search by clicking on the green "Search" button. Optionally, you may use the second line to search for a specific title, or to bring up only those titles for a specific console. Thus, if you add "Playstation 4" into the second field, your search results will be limited to only PS4 games in the library's collection. As with other items in the library's collection, if a game is "Available", you can use "Request It" to have the video game held for you at the Lending Desk. You will receive an email when it is ready to be picked up. If it is checked out, you can place a request and will be notified that it is ready for pick up after it is returned. Video games can be browsed in the Main Library itself on the upper level, in the Video Area, alongside DVDs and other audiovisual content. All video games are located in the call number area GV1469.35; feel free to ask a librarian if you need help finding this location. 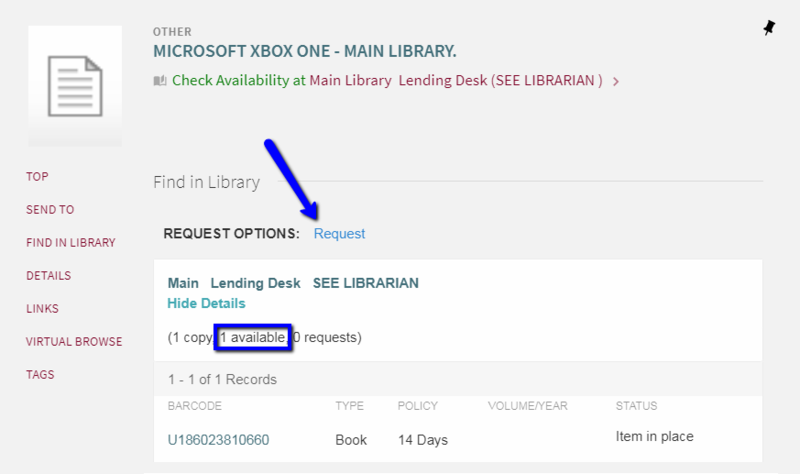 If a console is "Available," use the "Request" button and the item will be held for you at the Main Library (consoles cannot be checked out from other library locations). You may also simply ask staff at the Lending Desk about checking out consoles not presently being borrowed.